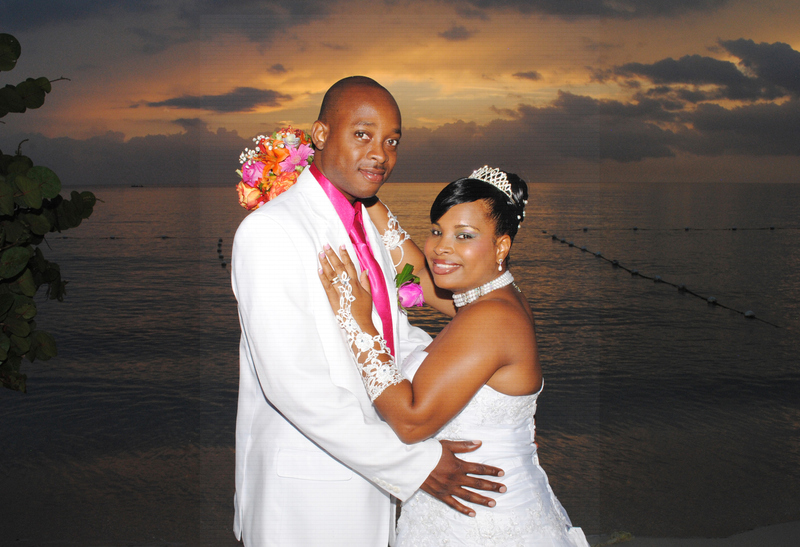 When my son and his fiancé decided to get married at Pattoo Castle in Negril Jamaica, they were trying to pull a wedding together from Vermont and nothing was really coming together. So when we arrived in Negril on Monday, all we had was a photographer. Then we met Faith. She was professional and extremely knowledgeable and though I was a bit skeptical, she assured us that she could pull together the perfect wedding by Saturday. Thanks Faith! Word Are Not Enough. My husband and I were married on March 2, 2018, at Coral Seas Cliffs in Negril, Jamaica. Faith was the perfect fit for helping us plan our ceremony and reception, and our wedding would not have been nearly as well executed in Jamaica without her. Appreciation to Faith for a Job Well Done! On behalf of Shadane and myself we would like to express our sincere gratitude to you for our services on our wedding day. It was a magical experience and the ambiance was great. Thank you for making our day special you did a fabulous job and we appreciate it. Our wedding was much more than we expected it to be because of Faith and her team. We wanted to get married but we didn’t want to spend too much because we also had other financial responsibilities at the time. Initially Faith was hired to decorate but once we spoke to her, we realized it would be better to put everything in her hands. The venue, photographer, videographer, the cooking staff, the waiters, the bartenders, the DJ, the MC. Everyone on her team was topnotch and we would have spent much more than we did for the same service in the United States. She gave good advice and her focus was on quality service, making sure our day went smooth and made sure we most importantly enjoyed our day. Words can’t really express the gratitude we have for Faith, she beat our expectations by a long shot. Faith orchestrated arguably the best day of our lives. We will forever be grateful for everything she did for us. we wanted to tell you once more, how wonderful the ceremony and all the big and little parts of it were. We enjoyed every part of this day. Thank you so much for organizing a perfect day for us. Tell Reverend Campbell that we loved how he held the ceremony. Both we and our witnesses found it very moving and beautiful. From the moment that we met Faith, both Bruce and I knew this woman was going to do right by us. 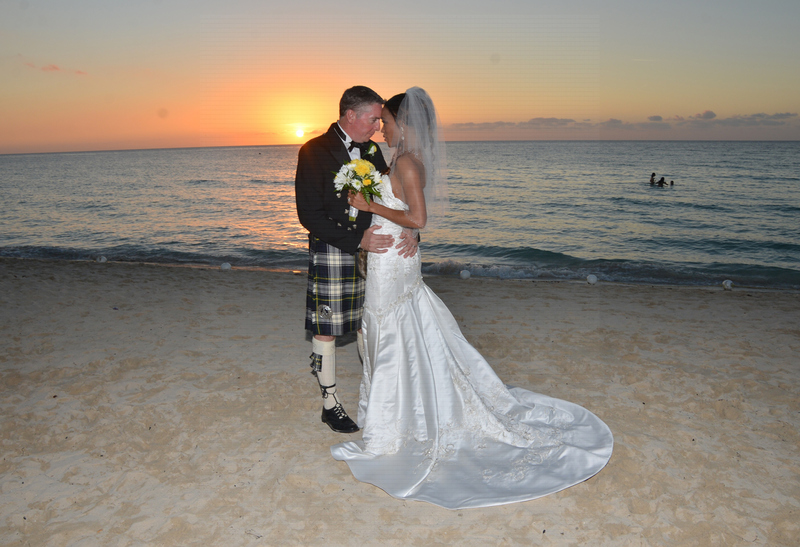 Faith was so caring and attentive to all details of what our vision was for our beach wedding in Negril. We cannot say enough how thoughtful this woman is; she helped us save money with local vendors and shared her products openly. When chaos was happening, she was leading and ensuring all came right. Her team is caring and efficient and hard workers. We feel this was a gift to not only have Faith lead us but we gained a new friend in this process. 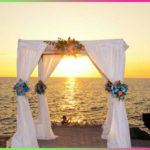 Faithful Weddings are the only choice in your destination wedding. Faith has been an awesome advocate for the smooth planning of our big day, from ceremony, to reception. Gorgeous decorations, professional entertainers, delicious cake makers. She did them all, all on time, and all with patience. She has been our guiding light through the unknown world of wedding planning and coordinating. This would have been our first (and only 😉 ) wedding and with faith…and Faith on board our day was a huge and beautiful success. Our very minimalist wedding was Feb 5, 2016 in Negril, Jamaica, we live in California and needed a wedding planner to help coordinate everything. We had a guest count of 40 people and this is something we could not/did not want to handle that far away on our own. We found Faith at Faithful Wedding Services because wanted to definitely work with local vendors only. Originally, worked with another planner on the island but due to family emergency on another continent, she hooked us up with Faith to execute the week of.. It was a crazy situation that happened, but we were lucky to have Faith take over! We like Faith because she was very much in control of everything. She met with us a couple of days prior to the wedding to confirm all details. Even though it was our first meeting, I could tell there would be no problem. As she says, “Have faith in Faith.”. She made sure that all vendors were on the same page as us and understood our expectations. She even gave us a last minute decoration idea of using coral runners (our color theme) on the table to tie everything together. She even gave us peace of mind about the weather conditions for our day – Negril was going through a tropical depression and there was TONS of seaweed on the beach. Again, all she told us was to have faith in Faith, and she was right. The Charela Inn took a couple of days to bury the seaweed and it looked picture perfect the day of the wedding. The day of, she was definitely in charge and in control. Everything went as planned – even things we didn’t plan for like the aisle procession – she had a plan for. I really recommend Faith because she was cool, calm, collected and 100% in charge. She went above and beyond by giving us some last minute design tips and advice. Because of these reasons, our wedding experience exceeded our expectations – it was a wonderful day! Faithful Wedding Service is EXCELLENT! 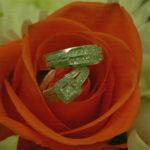 Faithful wedding services is EXCELLENT best wedding planner ever. My wedding was awesome everything was perfectly done. Thanks Faith you did a perfect job couldn’t ask for better you and your team rock you made our day Awesome. Our wedding has been the talk all our guests loved every moment. Thanks from Aidian and I you made our day extremely memorable in every way. Thanks a million Faith!!!!!!!! Title for Testimonial A headline for your testimonial. What do you think about Faithful Wedding Services?